Citi has introduced a new kind of ATM designed to help customers do virtually all their banking without visiting a branch. 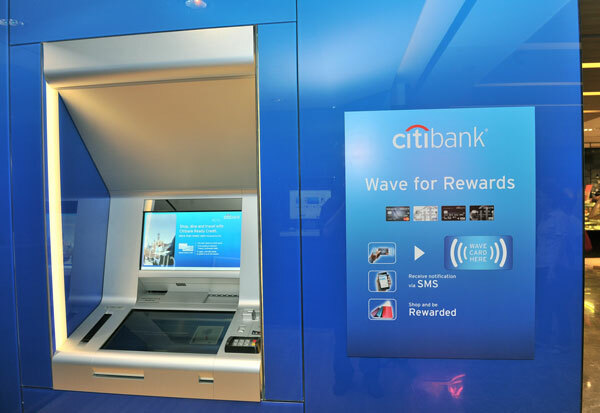 The Citibank Express ATM is equipped with an online banking connection, video conferencing and biometric identity authentication. Users can open accounts and apply for loans, cards and cashier’s cheques using the device; transactions can also be started on a computer or mobile device and completed on Citibank Express or vice versa. The ATM also has a screen that can display personalised promotions and offers and allows users to see and speak with a customer service representative on one screen while conducting business on the other. The machines support NFC and scanning and embossing functions have been included so that the machines will eventually be able to instantly print credit and ATM cards. Some of the features of the Citibank Express ATM are not strictly new – as far back as the mid-1990s, financial institutions experimented with video banking. More recently, BBVA Compass, a bank that provides banking, wealth management, credit card and financial services, adopted a drive-through ATM with the help of Wincor Nixdorf that features video banking abilities. Coastal Federal Credit Union is currently working on installing five new video banking points with the help of transaction company uGenius. “We don’t expect it to replace branches, but it will simplify our customers’ lives, generate new value for Citi and help to transform the financial services industry,” said Chris Kay, global head of ventures and incubation for Citi Ventures. The idea behind the new ATMs had its origin in the Smart Banking project Citi started in 2008, which was accompanied by research on consumer behaviour. Smart Banking was launched in Japan in 2010, and Citi has 100 Smart Banking branches in Asia. The new ATMs are currently available in Singapore, Malaysia and the Philippines. Citi has said it plans to expand the scheme across Asia and globally later this year. Earlier this month, ATM maker Diebold showcased an ATM that lets customers withdraw cash without using a card. Cardless transactions are of interest to banks bcause they would reduce the cost of issuing and replacing physical cards. That potentially makes providing ATM services much more profitable for high-street banks. For the customer the main advantage is the ability to withdraw cash in the event of a lost or stolen card, and in the future the possibility of not having the onerous burden of having to carry a card and a phone. Indian payment solutions provider and Pay Award-winning ItzCash Card Ltd. has a new main backer. U.S.-based Ebix, which sells on-demand software and e-commerce services, has taken an 80 percent stake in the company for $120 million. Citi’s global perspectives and solutions team has issued a 100-page report on digital disruption in the fintech industry. It has analysed venture capital (VC) investments in the fintech industry between 2010 and 2016, as well as the emerging technologies across the globe. Standard Chartered has appointed Peter Burnet as its regional head of corporate finance for northeast Asia. In his new role, Burnett will cover project and export finance, mergers and acquisitions advisory, structured trade finance, financing solutions and equity capital markets.